Give to the 2019 LCA Annual Fund for Sustainability! Like many private and Catholic schools, Lawrence Catholic Academy is a tuition dependent school. Because so many of our students are offered tuition discounts through our generous scholarship and financial assistance programs, the Academy is reliant on our our families, alumni, and friends to support the Academy. 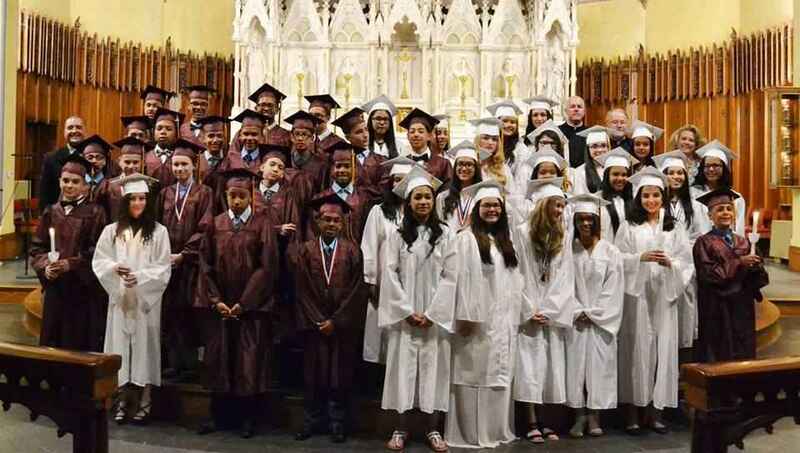 In order to offer sustainable quality programming for our students, while keeping our tuition affordable for all we, like many Catholic and private elementary schools, need your financial support! In supporting the Academy you help us maintain important programs for our students, the majority of whom come from Lawrence, one of the poorest communities in the Commonwealth of Massachusetts. We reach out to our Alumni, the keepers of our historic past, as well as our current Parents, Grandparents and our Friends, with an eye on helping us achieve a promising future! Your gifts to the Academy help us to maintain programs that are simply not available to students in the public schools in in public schools in the city. This is our 2019 Annual Fund contribution as a member of the Board of Trustees. You do wonderful work and we want to help you to continue to support the children in the community. LCA, formerly known as St. Patrick School, means a lot to my family and has been instrumental in our lives. Care & Share was the motto of my Catholic Elementary School....stay strong, and remind yourselves that this too shall pass. I want to see Christ's way of life continue in Lawrence.